Can Treatment Help My Knee Pain? Knee pain is one of the most common complaints that bring people to their orthopedic doctors. While this issue can result from many different issues and affect people of different ages, osteoarthritis is one of the main causes of this pain. This condition occurs when there has been wear-and-tear, causing your knee’s cartilage to deteriorate. When should I call my doctor for knee pain? It’s important to have your knee pain evaluated by a doctor because there are many causes for knee pain. Giving your doctor specific details about your pain will help to correctly diagnose and develop an effective treatment plan. What can I expect when I see my doctor? Your doctor will ask questions to obtain a detailed history. Before seeing your doctor, it would be helpful to review the following questions and have prepared answers. What is the nature and level of the pain? Where is the pain in your knee? How long have you had knee pain? Have you had pain before? Have you injured your knee? Does your knee feel unstable? Next, your doctor will examine your knee. He/she will look at your knee and press to see if and where it hurts and evaluate your range of motion. The doctor may perform different maneuvers to stress the ligaments and tendons. Based on your history and physical exam, the doctor may take X-rays of your knee during your appointment. For further testing, he/she may order a CT scan and/or an MRI to help with the diagnosis. If the treatments listed above do not work, surgery may be an option. How do corticosteroid and hyaluronic acid or hyaluronate injections help? Corticosteroid injections, or cortisone shots, fight inflammation and offer pain relief that can last up to several months. Hyaluronic acid or hyaluronate injections try to restore synovial fluid, which is a substance that helps lubricate your joints. Hyaluronate is a major component of synovial fluid. These injections can last up to six months or more. Once I have tried all other osteoarthritis treatment options and still have pain in my knee, what is the next step? Your doctor may recommend knee replacement. It can reduce your pain and improve your ability to move. A knee replacement surgery removes all or part of the knee joint and replaces the arthritic parts with an artificial joint. The relief can last several years or even a lifetime. Knee pain can limit your activity level and decrease your overall quality of life, but there are many options out there to lessen your pain and get you moving again. Talk to your physician about your pain so you can begin the process of healing. To find a physician and make an appointment, call 903-531-8890. Board-certified orthopedic surgeon, Dr. Alireza Behboudi offers his patients a full range of orthopedic care. 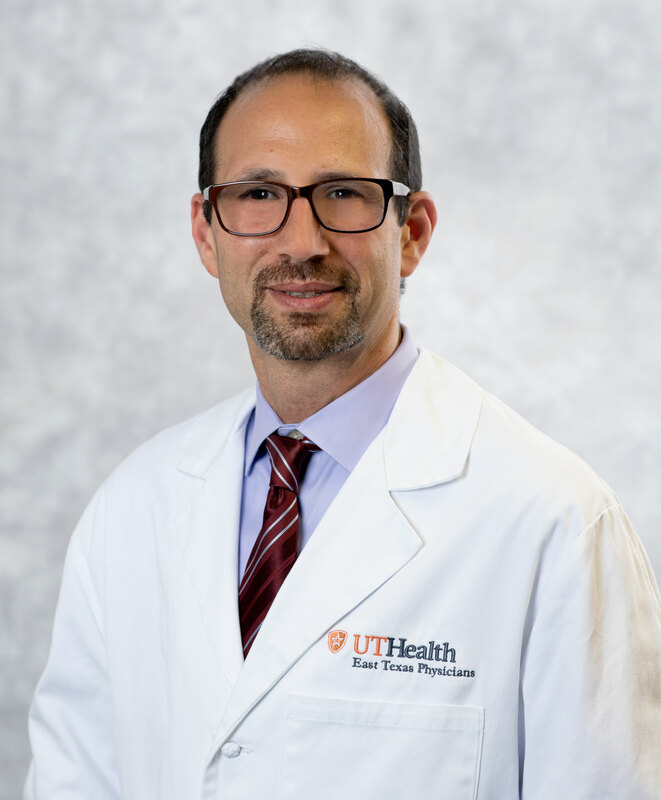 His comprehensive specialties include sports medicine procedures such as shoulder and knee arthroscopies, rotator cuff repair and ACL reconstruction; treatment of arthritic hips and knees including hip and knee replacements. In addition, he also treats hand conditions such as trigger finger and carpal tunnel syndrome. 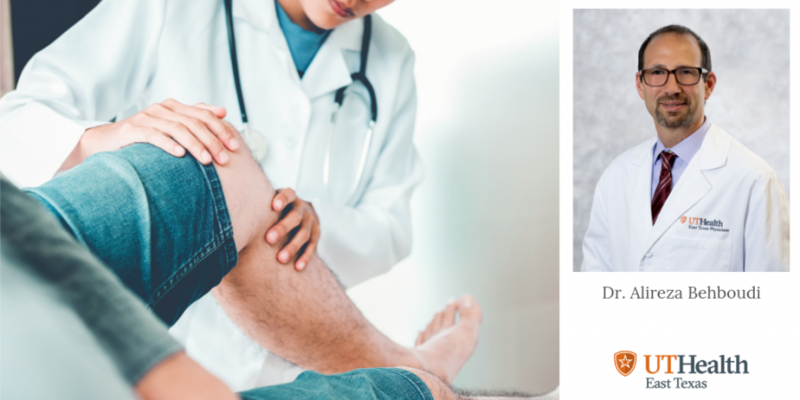 He is fellowship trained in orthopedic trauma as well as foot and ankle surgery, which enables him to provide comprehensive treatment for complex injuries as well as foot deformities, foot injuries and reconstruction.